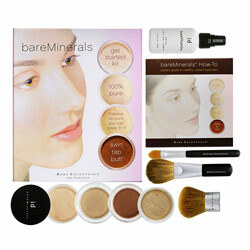 There are so many items to choose from when it comes to skin care and makeup, but what's the difference? Well, it all depends. Sometimes there isn't a difference - you're paying double for the same thing. But there are also things that just can't compare. 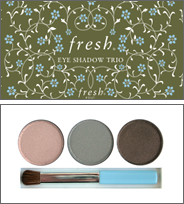 I've been trying out different skin care and makeup choices, and I've come to some conclusions about brands like CoverGirl and Almay. I've also found that just because I buy something at Sephora doesn't mean it's better than what I bought at CVS. 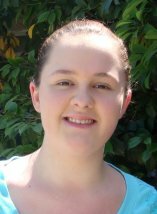 Here are my personal reviews and recommendations. Buuut even if you have all the money in the world, you're still in big trouble if you don't know how to use your products. 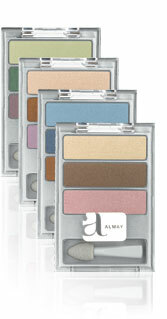 What's more, skin care does not begin and end with makeup. Taking care of your skin starts with what you wash your face with in the morning and ends with what you wash your makeup off with at night. Therefore the most important part of your skin care regime is, of course, your face wash. My favorite is MAC Cremewash ($19.00, MAC stores and MACcosmetics.com) because not only is it a creamy, deliciously scented face wash, it is also perfect for nighttime, as it removes makeup too! After washing your face moisturizer is a must. 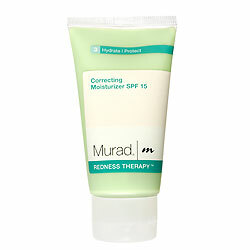 During the day use something like Murad Correcting SPF 15 Moisturizer ($35, Sephora stores or Sephora.com). 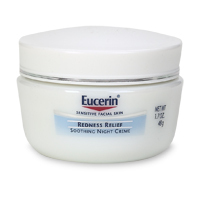 At night, it's got to be the best night cream ever created, Eucerin Redness Relief Soothing Night Creme, and though I haven't found it to remove redness very well, it is a terrific night cream. How well do you know your skin? Here's a test. Does eating greasy foods really cause acne? How about makeup? Think this causes acne? Does popping a pimple make it better? Answers: B, B, and B. That's right ... the grease you put in your mouth has absolutely no effect on the grease on your skin. Makeup doesn't cause acne either. It may clog your pores, but acne isn't caused by your foundation. And don't pop your pimples!!! This actually spreads the bacteria, resulting in more zits than before. No matter whether your skin type is oily, dry, red and blotchy, a combination, or acne-prone, there are tons of options for all of us. So ladies, never fear the skin care aisle, as daunting as it may seem. Believe me, it's fun once you get there!